Will Swift stream her new album? NEW YORK • Will she or won't she? As the music world awaits the release of Taylor Swift's new album, Reputation, on Friday, the industry has been preoccupied with a guessing game: Will it be immediately available on streaming services? With streaming now contributing nearly two-thirds of the revenue of the recording industry in the United States, few artists would even consider withholding their music from outlets such as Spotify and Apple Music. Yet, as the release date for Reputation approaches, four executives at major streaming services said they did not expect the album to be made available for streaming, at least at first. But those executives, who spoke anonymously to protect private negotiations, said plans could change at any time. When Swift released her last album, 1989, three years ago, streaming was still an unproven format and the defiant stances she took against Spotify and Apple over royalties and control were hailed as heroic wins for artists' rights. But those battles have long since been settled. Swift starred in Apple commercials and returned her catalogue to Spotify. Swift and her label, Big Machine, have not announced their plans and her spokesman declined to comment. The last big star to avoid streaming was Adele, who, two years ago, kept 25 from those platforms and had record-breaking sales. Swift also kept 1989 off streaming services, reaching a deal with Apple Music only after eight months. By that time, it had sold five million copies via download and CD. By most analyses, these have been financial calculations: It would take 150 streams of every song on a 10-track album to equal the revenue of a single CD sale, according to standard industry estimates. Beyonce, perhaps the only other comparable artist, has kept her latest record, Lemonade, from streaming on Apple and Spotify, but her reasons may be competitive - she is a partner in Tidal, the streaming service controlled by her husband Jay-Z. 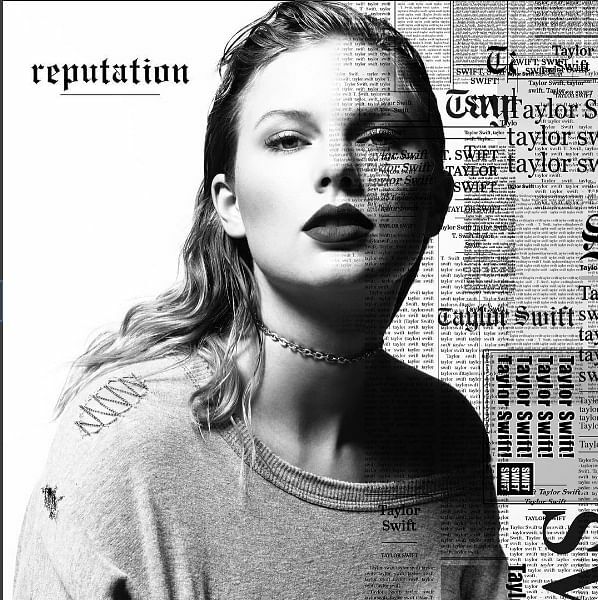 Reputation seems to be following a similar strategy as 1989, with much of its marketing campaign focused on sales. UPS trucks emblazoned with Swift's face are poised to deliver copies of the CD and Target will sell a special version of it with Swift-designed print magazines. Through a partnership with Ticketmaster, she has told fans that they can "boost your place in line" for tickets to her concert tour by buying CDs and merchandise. For those who have been watching Spotify closely, there have been signs of a lack of promotion of Swift's music. When she released a new track, Call It What You Want, last week, the song did not appear on Spotify's popular New Music Friday playlist. A spokesman for Spotify declined to comment on whether the service would have Swift's album. When asked about the song's absence from its playlist, he said: "Our policy is to work with artists and managers who want to work with us to connect with their millions of fans on Spotify." Representatives for Apple, Amazon and Tidal declined to comment.